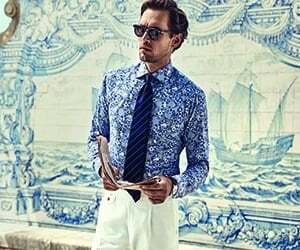 Circolo 1901 Brucciato Long-Sleeve Cotton Shirt. Crafted from a super soft cotton and elastane blend so it has a little bit of stretch for added comfort. This Brucciato long sleeve Shirt is cut for a regular-fit.